I love it when I pull up to a “nothing-looks-good tiny little garage sale“ and I find that one item to bring home. Large or small, it’s just fun. 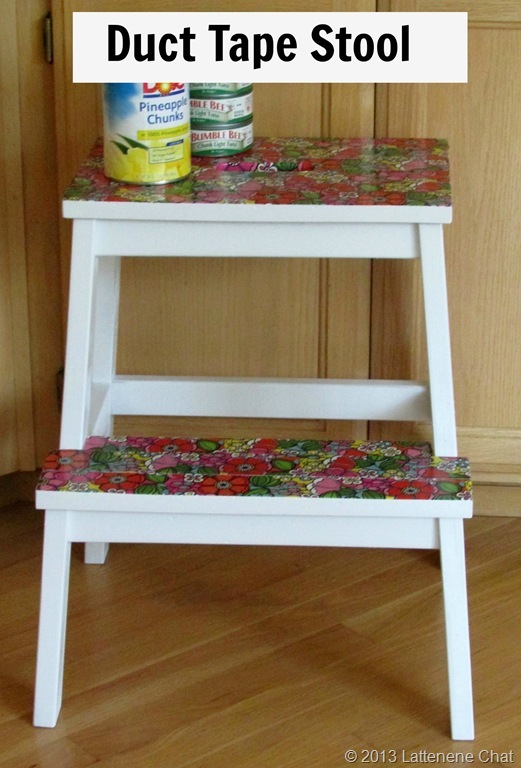 This time I found a step stool, I think originally from IKEA, around the $20.00 price. I paid $2.00. I knew it was a good item to find because I had just told the hubby I needed one. You know what happens as you get older? You get shorter! I sanded it, primed it, then spray painted it white, but it still needed something. Then I gave it some flower power! I’m no stranger to adding duct tape to wood. I’ve been a true fan of the decorative tape since I used it on my white dresser in the woman cave. It’s a simple as laying on strips of the tape down, overlapping slightly. I decided since flowers in the gardens aren’t matched up perfectly, the duct tape shouldn’t be perfectly aligned either. How abouta Before and After? 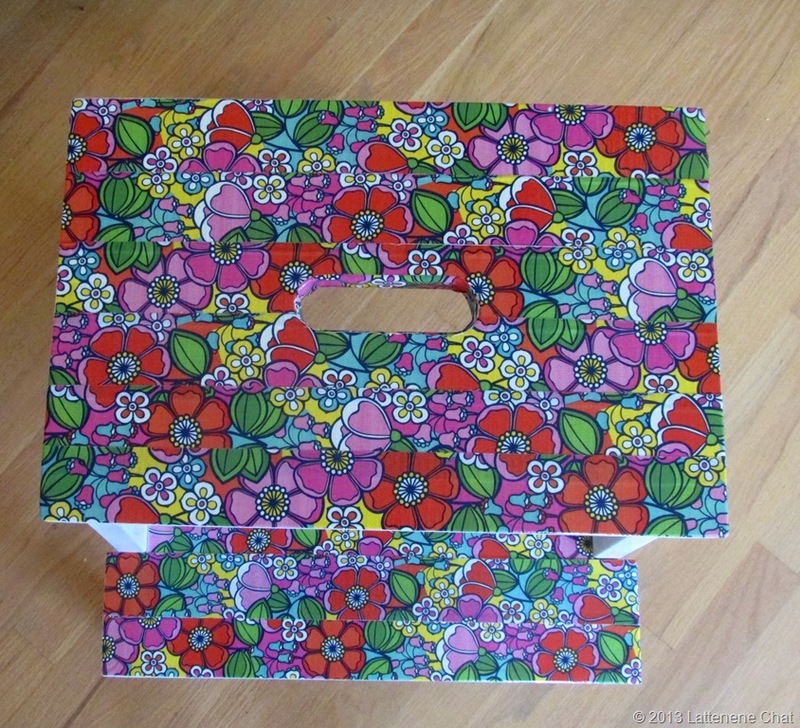 If you want more ideas for Duct tape or even washi tape, check out my For The Love of Tape post. So what about you? 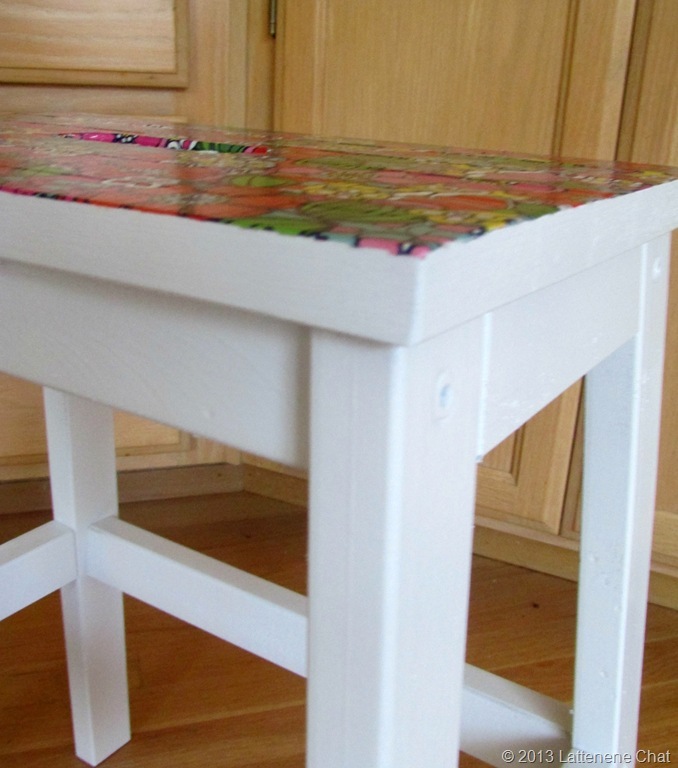 Have you had a chance to get creative with duct tape? 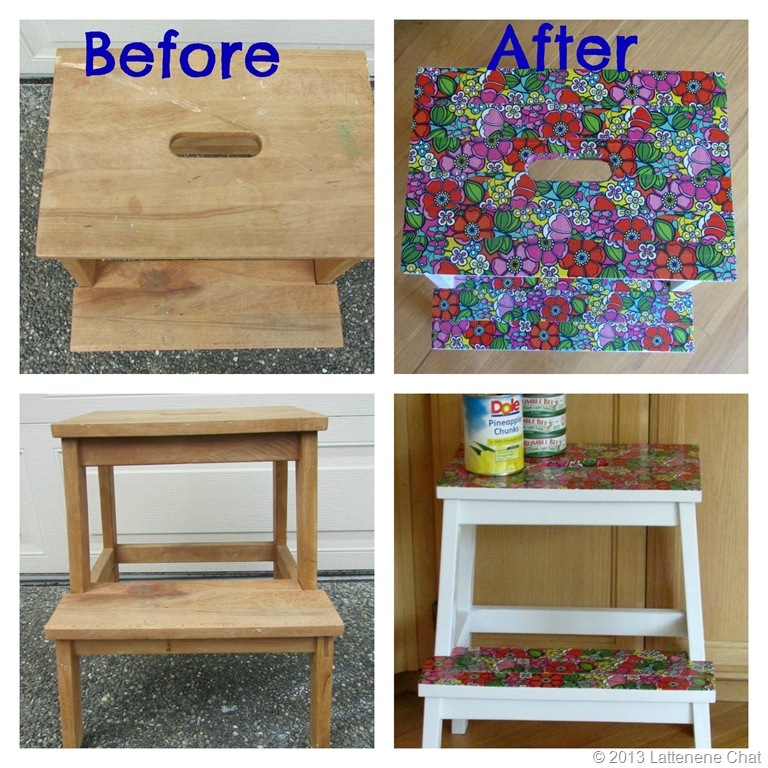 This entry was posted in DIY and tagged DIY, duct tape. Bookmark the permalink.